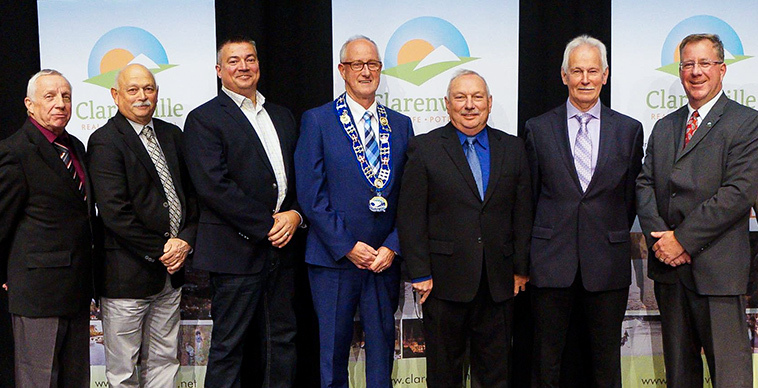 A mayor, deputy mayor and five Councillors make up the Town of Clarenville Council. Each member is elected for a four-year term. The current Council was declared elected by acclamation on September 5, 2017. Members of Town council meet at regularly scheduled council and committee meetings throughout the year, as well as at special council meetings as needed. Check out our Facebook Page for a live webcast of all scheduled Council meetings. Frazer was born in Winter Brook, Bonavista Bay and moved to Clarenville as a teenager in 1962. 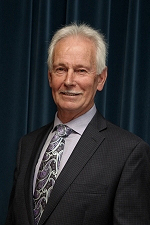 After graduating from Horwood High School,he attended Memorial University where he received a Bachelor of Science and a Master of Education Degree in 1972. He has also studied at the University of Ottawa and the University of Quebec. After a 30-year career in education, Frazer became an entrepreneur and established several small businesses in Clarenville, which he continues to operate today. 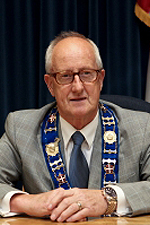 Frazer began his long involvement with the Town of Clarenville at an early age when he became president of the Clarenville Youth Club in 1966. It was in that position that he lobbied for tennis courts that became a reality in 1967 as a Canada Centennial Legacy Project. For 50 years he has been involved in making Clarenville a better Town. This includes leadership and coaching positions in hockey, softball, tennis and baseball. 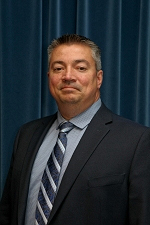 Under his leadership, the Canadian Midget Boys Softball Championships were held in Clarenville in 1997 and the National Allan Cup Senior Hockey Championships in 2015. Frazer also chaired the 1994 Newfoundland and Labrador Winter Games hosted in Clarenville. Some of his involvements include being a member of the G.B. Cross Memorial Hospital Foundation, Chair of the Dr. G.B. Cross Memorial Hospital Board, Chair of the Clarenville Events Centre Building Committee, Chair of the Clarenville Caribous Hockey Club, Chair of the Eastern Initiatives CBDC and vestry member of St. Mary’s Anglican Church. His service to the Town of Clarenville has been recognized by the Rotary Club Paul Harris Fellow, the Melvin Jones Lions Club Fellow, the LeRoy Miller Sports Builder Award, Hockey Newfoundland and Labrador Senior Hockey Award and a Clarenville Citizen of the Year Award. 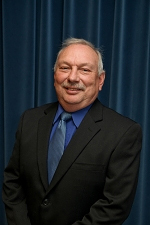 Frazer has also served on Council for 16 years, the past four years as Mayor. Frazer and his wife Sherry have three children and two grandchildren. Heber has been a lifelong resident of Clarenville, is married to Carmel Doupe and has 2 children Leah and Andrew. He will be starting his 5th term on Council and was previously employed with Service Canada as a Business Expertise Advisor for 34 years. 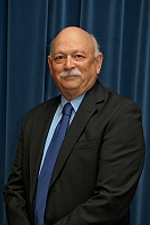 He has served on the Finance Committee of Council for 16 years, the Public Works & Planning Committee for 4 years and the Human Resources Committee for four 4 years. Heber was a member of the 1994 Newfoundland and Labrador Winter Games Host Committee, a member of the 1997 Canadian Midget Boys National Softball Championships Host Committee, President of Golf Newfoundland and Labrador 2002, a NL Mission Staff Member for the 2007 Canada Winter Games, Chair of Registration and Results for the 2014 Newfoundland and Labrador Winter Games and a member of the 2015 Allan Cup Host Committee. He is currently the Eastern representative for Golf Newfoundland and Labrador Hall of Fame Committee, His hobbies include hunting, hockey and golf. Bill was born and raised in Shoal Harbour and has lived in the Town of Clarenville for more than 60 years. He is married to Gina Bailey, and has one daughter, Michelle. Bill attended high school at Horwood High and Vocational School at CONA, here in Clarenville. He is a Certified Level 4 Claims Adjuster and has 45 years of experience in that field, including extensive Contract Adjusting with Fire and Emergency Services in NL as well as outside the Province completing National Disaster Claims. He has owned and operated an Adjusting business in Clarenville for over 25 years. Bill is an extremely active member of the community, both personally and professionally. He is a retired member of the Clarenville Fire Department, a previous Vista School Board Trustee, a previous member of Clarenville Rotary Club and a Certified Minor Hockey Coach. Currently, Bill is the Grooming and Trails Director of the Clarenville Nordic Ski Club, and a board member of the White Hills Ski Resort. He is also an avid long distance walker, skier and hiker. 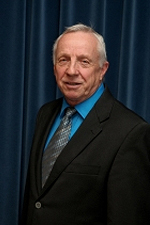 As a Councillor, Bill sits on several committees. This includes Public Works, Recreation and Arts and Beautification Committees. He is also the Isthmus member of the Eastern Regional Service Board and Chairperson of Arts Under the Stars program. This is Bill’s 4th Term as a Councillor for the Town of Clarenville. Paul Tilley is a post-secondary educator in Clarenville where he has been with the College of the North Atlantic for two and a half decades. A lifelong interest in politics, particularly municipal politics, coupled with the encouragement and support of a great community and some great community leaders, were instrumental to Paul standing for a third term on Clarenville’s Council. For Paul, it is truly a privileged opportunity. Paul has been an active participant in Clarenville’s growth. Through his involvement in Council related projects, helping improve community communications with his Our Town Clarenville page, being a Community Correspondent for CTV, providing opportunities for students, and serving on numerous community Boards and Committees, including the 2014 NL Winter Games & Habitat Clarenville, Paul, supported by his wife, continues to work towards making Clarenville a place to want to live, work and play. Paul holds a Masters Degree in Business Administration, and a Bachelor of Arts Degree in Political Science. Paul and his wife Evelyn, are outdoor enthusiasts enjoying all our region has to offer. Their two children, Hannah and Harrison are attending post-secondary school in St. John’s. Rod Nicholl and his wife Joan came to Clarenville in September of 1974 and raised two children, Stephanie and Steven. Rod graduated from Memorial University of Newfoundland in 1974 with a Bachelor of Physical Education and a Bachelor of Education and then went on to complete a Master of Physical Eduction in 1995. For 18 years he was a Physical education and Health coordinator and in 2004 completed 30 years as the physical education teacher at Clarenville Middle School. He has committed numerous volunteer hours in a variety of community organizations including Kinsmen, CARA, Random Age Friendly committee and volunteers as a driver on the Crest bus service. He has been a volunteer coach in a variety of youth sporting opportunities and earned his Level 1 and 2 Coaching Instructors Designation as part of the National Coaching Certification program. He has served on numerous local, provincial and national committees and recently finished a successful four year term as the President of Sport Newfoundland and Labrador. He has been instrumental in chairing two Provincial Games Steering committees in preparing successful hosts bids for the 1994 and 2014 Newfoundland and Labrador Provincial Winter Games for Clarenville. In 2005, he formed the Tribay Jumpstart Chapter in Clarenville supporting sporting programs for economically disadvantaged youth and continues to chair this initiative today. Rod also continues to serve his community as a member of the Alpine Development Alliance Corporation in support of the successful operation and promotion of the White Hills Ski resort. In 1988 he received The Canadian Association of Health Physical Education, Recreation and Dance’s ‘National Young Professional Award’, and the Clarenville Citizen of the Year Award. He was also an honored recipient in 1992 for the commemorative medal for Canada’s 125th Anniversary and in 2002 received the Golden Jubilee Award from the Government of Canada in recognition of his volunteerism. Rod is an advocate of physical activity and continues to participate in curling, golf, basketball, alpine and Nordic skiing, snowshoeing, hiking, tennis, and skating activities. Rod has also served on three previous councils in Clarenville and for the next four years, he plans to work hard on behalf of the citizens of Clarenville to continue to enhance their quality of life. John is a native of the Burin Peninsula and graduated from Marystown Central High School in June 1969. From there he attended Memorial University in St. John’s and graduated with a Bachelor of Arts Degree with a Major in Social Work in December 1973. In January of 1974 John went to work with the Department of Social Services as a Social Worker and was stationed in Baie Verte. In September 1980 John was transferred to Clarenville and has made Clarenville his home. John continued to be employed as a Social Worker with the Provincial Government until April 1998 when with Government restructuring he became an employee of the Eastern Regional Health Authority. John was in a management position at Eastern Health until his retirement in March 2017, after 43 years of public service. Since coming to Clarenville in 1980, John has had a long history of providing volunteer services to the town of Clarenville. John was involved with many committees and organizations within the town such as the Clarenville Area Recreation Association, Minor Softball, Men’s Slow pitch softball, Clarenville Curling Association, Alternative Measures Committee, Clarenville Jump Start Committee, Vista Regional Games, Clarenville Regional Extended Seniors Transportation and many more. John was also a member of the organizing committee for the 1994 Newfoundland and Labrador Winter Games hosted by the Town of Clarenville. In 1987 John was awarded the Leroy Miller Award for his contribution to recreation in the town. John has experience as a Town Councillor having served on the Clarenville Town Council from 1998 to 2005 and from 2009 to 2013. Just recently John received an award as one of the 150 faces in the Town of Clarenville. John is married to his wife Holly and has two children, Lori and Michael. Lloyd Parrott was raised in Wabush, Labrador and immediately upon completion of high school became a Member of the Canadian Armed Forces. It was there that he had a successful career that spanned 21 years as a Recruiting Officer with the 2nd Battalion of the Royal Canadian Regiment and 103 Search and Rescue Squadron. Upon his retirement in 2011, Lloyd and his family moved to Clarenville. 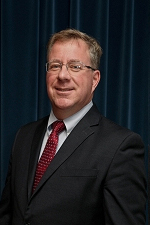 Over the years, he has completed a wide array of training and formal courses that were instrumental in his professional development, including maintenance management, network administration/computer technology, resource management, leadership training, operational/environmental training and recruiting officer training courses. Lloyd is currently the General Manager for three successful companies: PTL Services, Black Hawk Industrial Services and CSL services. In his role as the General Manager Lloyd oversees the day to day operations, business management, human resource management, and maintains labour relations. Lloyd is also the Manager of Operations and Business Development for Talon Energy Services. Lloyd currently sits on the Board of Directors for White Hills as the Vice Chair, he is a member of the executive council on the Board ofDirectors for the Construction Labour Relations Association of NL, and is on the Board of Directors for the Hebron Project. He is deeply involved in labour relations throughout the Province and sits as a Professional Management Trustee for Health, Welfare and Pensions for the Teamsters Union. Lloyd takes on an active role in fundraising for charities throughout the province and most notably, he is proud of his affiliation with “Power to Hope” which continues to do ongoing work on many levels. Lloyd and Nicole have been married 17 years and have two children Olivia 11 and Gavin 9.